-This is the episode where an entire planet is matriarchal and all the ladies want to maintain the status quo. I think this is actually a pretty great idea for a Star Trek. -Watch it if only to see Up-For-Anything-Riker put on a flouncy pirate shirt and codpiece whilst using the old "When In Rome" adage as an excuse for playing dress-up. "What? You act as if this is more ridiculous than my usual outfit!" 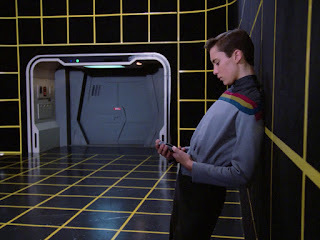 -Another awesome Riker episode. This time he spends the day chatting up a hologram while the ship is stolen and driven to the other side of the galaxy. -This episode features a young guy in old guy make up. Basically, several years ago, he ignored the Prime Directive and gave a bunch of guns to some terrorists who'd kidnapped some Starfleet colonists. To "even it up" he also gave guns to their enemies. Forty years later, it's all blowing up in his face. -Captain Kirk did this exact same thing back in TOS but, as far as I know, he never had to dress up in old guy makeup to correct his mistake. He just became an admiral and saved the world a few times. -The "best and most talented" children of the Enterprise are kidnapped by sterile aliens. "At least your kid wasn't kidnapped!" "Oh yeah, at least your kid was smart enough to get kidnapped!" -Terraforming, mysterious conspiracies, and a brand new sentient species of life all make this one a pretty great TNG episode. Totally worth watching. -Yay! A Wesley episode. I know a lot of people get pissy about Wesley and like to make fun of the poor kid but he's so earnest and sweet in these early episodes, I can't help but like him. -I find myself saying, "Aw, bless his heart," a lot in this one. 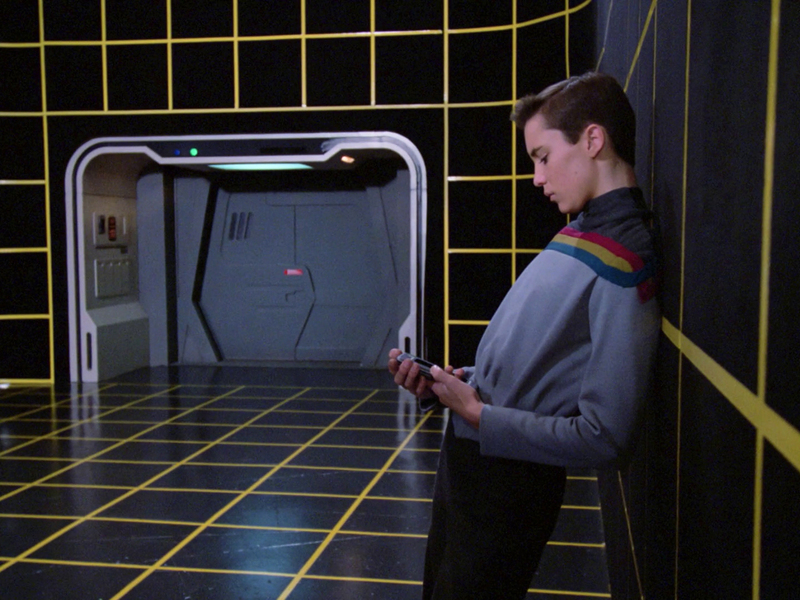 If I'd had a holodeck to brood in when I was 15, I could've got into Starfleet too. -This one's worth watching just so you can see the world the way Geordi sees it. You can be entranced and mystified by it just like Picard who gets all questiony while Geordi's supposed to be on an away mission. -This episode features an awesome exchange about the "Good Ship Lollipop." 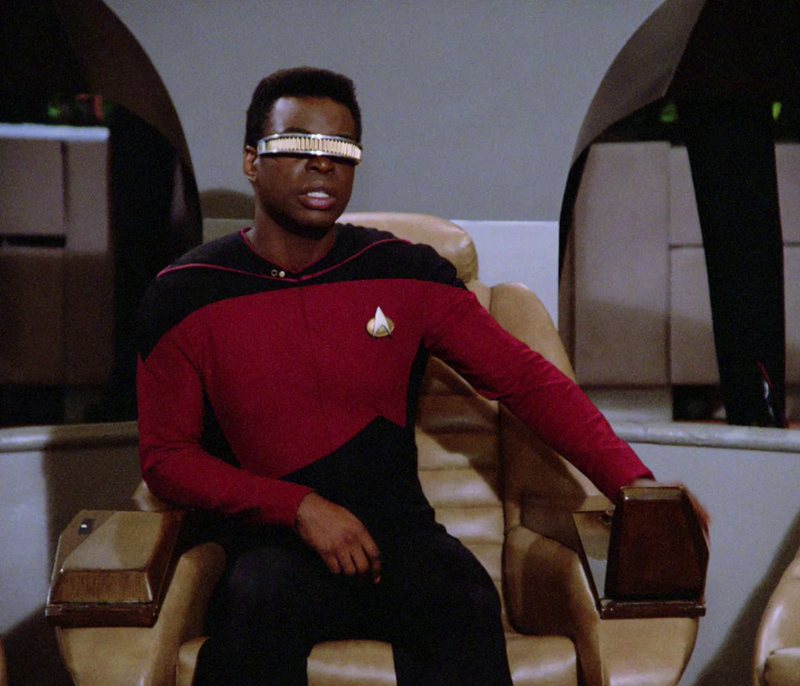 -Geordi spends a huge portion of this episode in charge. He begins the tradition of any time someone isn't Picard and they're placed in command, they separate the saucer section. Riker would continue this proud tradition with amazing/explosive results. "This ship could fly twice as high if there were only half as much of it!" -Wow, this guy looks a lot like Peter Weller. Oh, I've said that before about this guy. He also played Khan's #2 in Wrath of Khan. -This features an actually great scene between Tasha and Wesley where she explains why people end up getting hooked on drugs in a way that is surprisingly not an after school special. -This episode, not Skin of Evil, was the last episode she shot. -This episode is all about the harsh realities of death. It's not well-reviewed by critics but it was a formative episode for me. I think it's worth watching. -This is a great, "I've messed with the space-time continuum and now I'm paying the price" episode. -This is also an excellent Picard episode. -Watch this one to see Riker get in a kickboxing match with an old guy. Spoiler- he loses. -This episode totally creeped me out as a kid. -This one is actually really great. Star to finish it's interesting, engaging, and creepy. So, it looks like I did eleven episodes this week and that keeps me on track. I'm loving this re-watch of TNG. My biggest problem so far is holding back. I need to cap it at three or four a day but I could easily watch seven of these in a row. How much more do you have to watch? I'm totally unaware of the scale of the "canon." Well, there are 725 episodes plus 12 movies. This works out to about 738 hours. I have a schedule and I'm sticking to it. I'm really digging this web log. I inadvertently started a "Year of Star Trek," last year, and it's turning into two years. It started because I thought I'd give "Enterprise" a fair shake and then I just decided to watch all of it. Anyway, I just wanted to say that I enjoy reading this and find that we share a lot of the same thoughts about this old friend of ours. Thank you so much! I'm so glad you found this project. Star Trek means the world to me and it sounds like it does to you too. I considered doing chronological order but decided to try and watch it as it aired so that, even though it's condensed, it's the same timeline that fans would've experienced when watching the series as they aired.